The Event Design Certificate Program is an immersive 3 day training course + 6 month coaching. 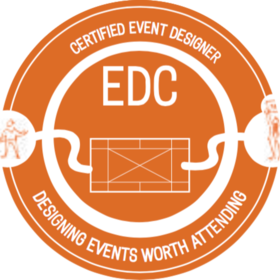 Successful participants have been granted the Certificate in Event Design along with 24 Continuing Education clock hours in domain G: Meeting & Event Design as defined by the Convention Industry Council CIC. an Executive Student Assistant per team to support you in your Event Design. Yes, make Event Design Collective GmbH a Trusted Issuer. This will automatically accept all pending and future Credit from Event Design Collective GmbH. By removing trust, badges created by Event Design Collective GmbH are no longer automatically accepted and you'll need to review in your inbox before accepting.